They can be found in Buy Mode > Decorative > Miscellaneous for §280. Find the 'Fancifully Finicky Fronds' recolour used in my screenshot HERE. Gorgeous. I hope someone takes you up - it would be a gorgeous bath. This looks nice. It reminds me up a very swanky office building. Very nice! 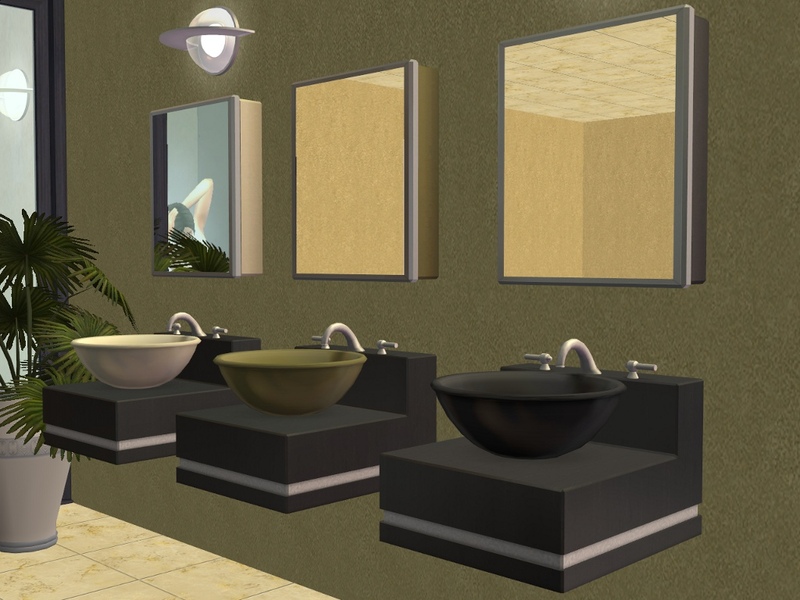 Now my Sims can have bathrooms that truly matches. Thank you! Bathtubs aren't my thing (as in, I've never tried to make one and don't know how badly I'd mess it up), but I too hope someone takes you up on it, because it sounds like a great idea!